The current public debate on migration in the Czech Republic is accompanied by the fear of the unknown. Despite the experiences with admitting people affected by war or other difficulties and the fact that migration is a natural part of human history, the current debate is permeated with panic, misinterpretation, stereotypes, ignorance of relevant facts, and in many cases, unwillingness to overcome the boundaries of our knowledge of those who are coming or have already lived in our neighbourhoods for years. 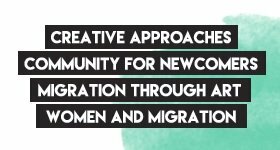 NESEHNUTÍ (Independent Social Ecological Movement) has been long involved in creating the space where people could share their experiences, meet each other, and build a community based on tolerance. 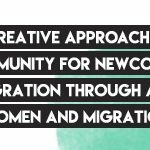 We create a space where real voices and life stories of people who have experienced migration can be heard. Our aim is to share the real stories that help us see beyond the stereotyped images in the public space. We are inspired by the people we meet – and creativity is our tool. Help us build communities and get inspired by examples of activities or public events you can organize in your area.